Vanga Private Residence, Antananarivo Best Price Promise! Vanga is a cosy boutique hotel situated within a private and secure residence, perfect for a quick stopover or a long term vacation. There are a variety of rooms available to suit your needs. La Petite Traversee means &apos;the little crossing&apos;, referring to the narrow channel that lies between the islands of Ile St Marie and Ile aux Nattes. Crossing the channel is an initiation as much as it is a journey, it is like stepping in to a time of pure simplicity and authenticity. If you looking for a rejuvenated holiday, this is the ideal destination. 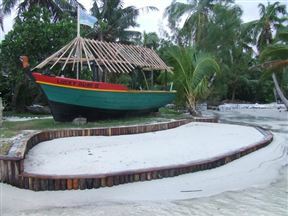 Here the beach is only a few steps away and offers safe swimming and snorkeling. 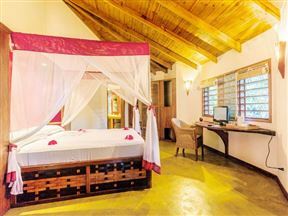 Guests hoping for a tranquil tropical getaway will not be disappointed when choosing to stay at Loharano Hotel. It is located on the island of Nosy Be just off the coast of Madagascar. 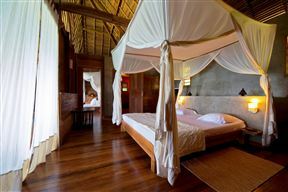 Tsara Komba Lodge is situated in the northwest of Madagascar, to the south of the island of Nosy Komba and 25 minutes away from Nosy Be by boat. Nosy Komba is a superb island, taking the form of a former volcano and today covered by luxuriant primal forest. 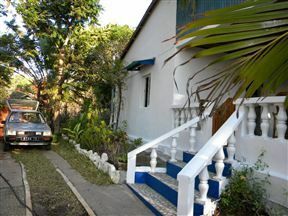 The Chalet of Bougainvilleas is a self-catering bungalow situated on top of a hill near the beach of Grand Pavois at Amborovy Place. 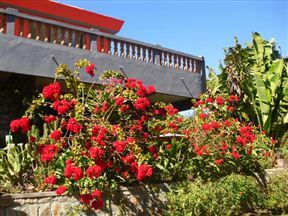 The chalet has wonderful views of the ocean and garden, which you can admire from your verandah. 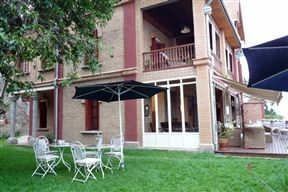 Lokanga Boutique Hotel, Antananarivo Best Price Promise! Lokanga Boutique Hotel is situated in Antananarivo, perched just yards away from the Queen’s Palace on the sacred royal hill in the heart of the historical neighbourhood, yet within five minutes&apos; drive of the business centre. 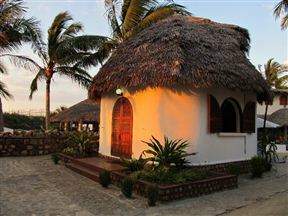 The Royal Beach Hotel is situated on one of the most beautiful bays of Nosy Be, Madirokely. It is situated near to the traditional village of Ambatoloaka, which is famous for its typical small restaurants and for the joy of life shown by its inhabitants.